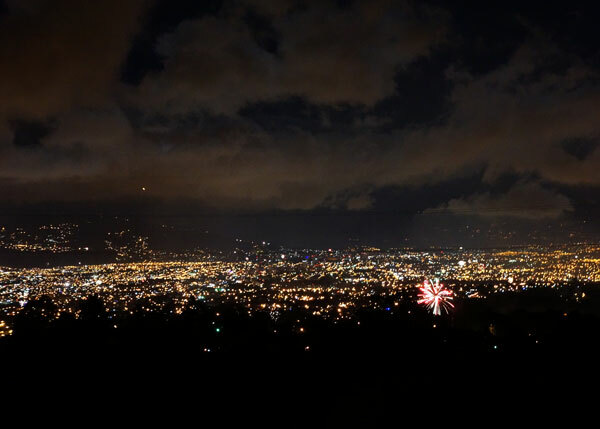 Happy New Year From Costa Rica! “New Year’s Eve is over-hyped anyway,” I tell myself throughout the day on December 31 as the work day passes and no grand plans emerge from the patched-together woodwork of my relatively new and solitary life in Costa Rica. I’ve been living and working on a remote rainforest base in Costa Rica’s Central Valley for just less than three months, and so far my time here, though filled with many rewarding adventures, has failed to produce any out-of-the-workplace friendships that would lead to any sort of celebratory New Year’s Eve plans. 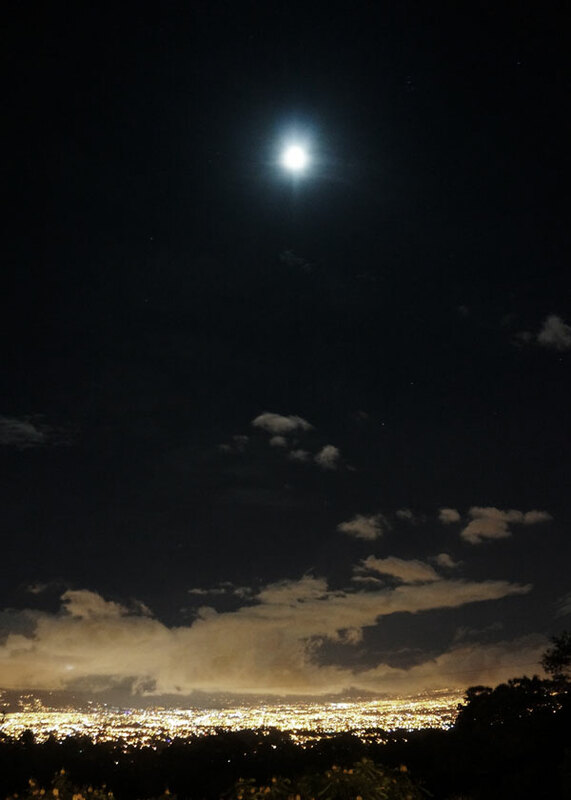 Though my jungle home is only about an hour from the capital city of San Jose, I don’t go out much, and I realize that, even if I felt like making a solo foray into civilization, I wouldn’t know where to go. The work day ends. 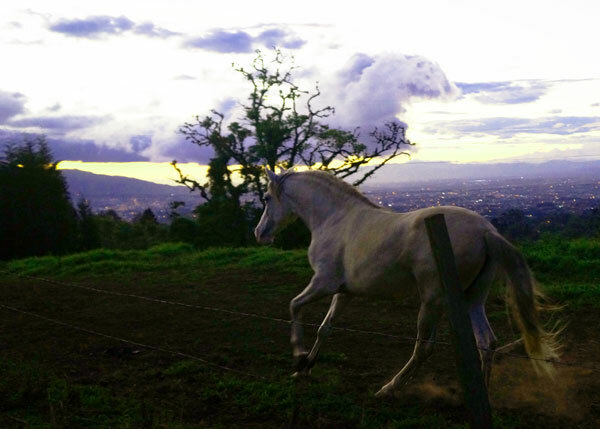 Plan-less and alone, I walk to a nearby vista that overlooks San Jose. I stand on the side of the road, moving every so often as cars pass on the narrow ribbon of highway, and take in the scene before me. Horses gallop in an adjacent field as hues of pink and gold fill the sky. The sun sets on the final day of 2014. 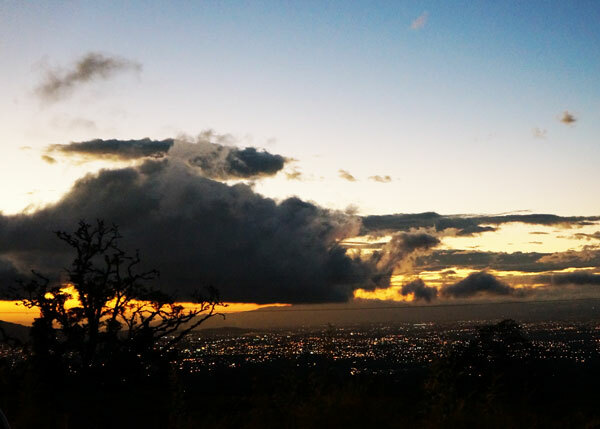 Darkness overtakes the soft colors of twilight and the lights of San Jose twinkle from down below. At 11:30 p.m., after ringing in the New Year in Maryland with my family on Skype, I head back to this same location. Severly underdressed in the new hiking boots my grandma got me for Christmas (thank you grandma!) and a SF Giants hoodie (to start the year with good luck, of course), I slip onto the well-manicured lawn of a local restaurant. The wooden, open-aired venue is spilling with well-dressed families, dancing to salsa music and drinking wine. 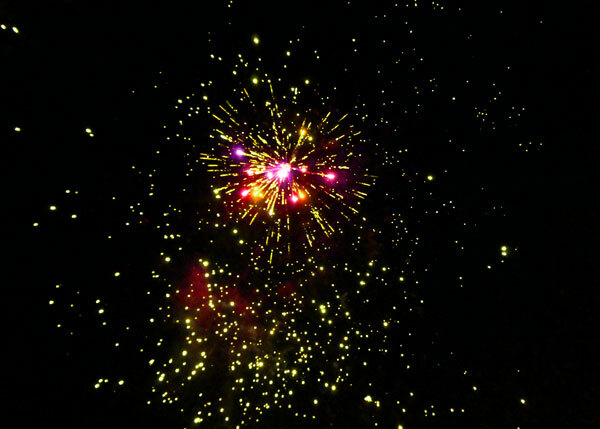 The lights of San Jose glimmer and small dots of fireworks brighten the sky. Midnight approaches and the restaurant empties as the crowd transitions to the lawn. The music is cut and a countdown begins. ¡Feliz Año Nuevo! ¡Bienvenido 2015! The valley below erupts with fireworks. The lawn is filled with cheers and laughter, hugs and kisses. Ave Maria begins to play. 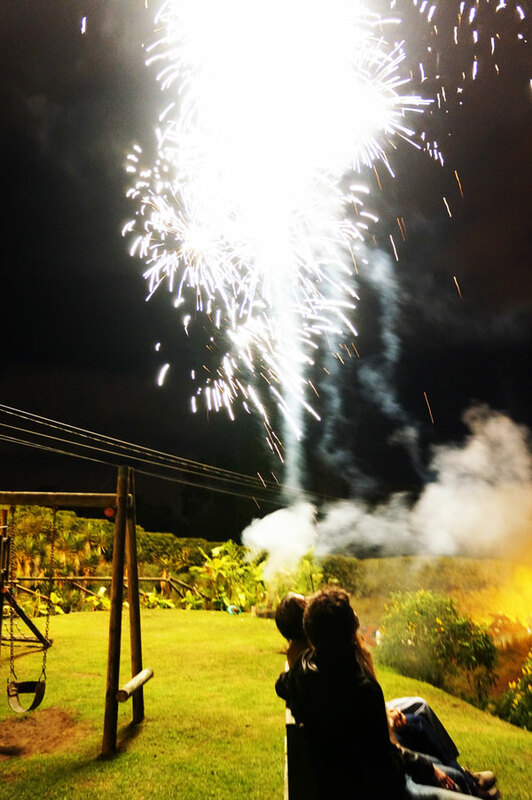 The Costa Rican Auld Lang Syne? I wonder. Children run around spraying each other with what appear to be spray paint cans, but I know this can not be so. The waiters run out and light fireworks of their own. The sparks shoot off much too close for my comfort (and surely for U.S. regulations as well). I back up several large paces. The rest of the crowd is unfazed. The fireworks continue to burst down below, but the crowd’s attention shifts backward, to a group that is lighting a large lantern. 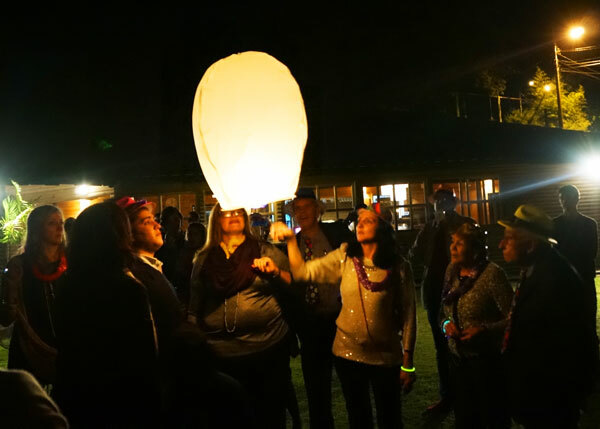 They release it into the sky and away the lantern floats, ascending with hopes and dreams for 2015. 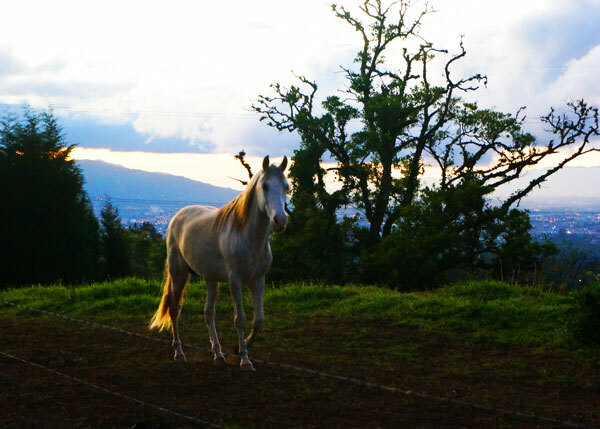 My life in Costa Rica may be nontraditional and more solitary than I am used to, but that doesn’t mean it hasn’t been, and won’t continue to be filled with beauty. 2015 is going to be a good year, I think. I’m going to make it great.